Tottenham Hotspur First To Be Confirmed For Dr Pepper Dallas Cup XXXI Super Group! 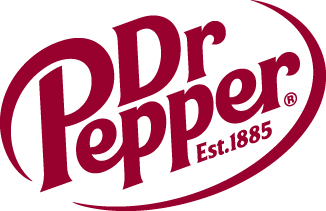 | Dallas Cup, Inc.
Tottenham Hotspur First To Be Confirmed For Dr Pepper Dallas Cup XXXI Super Group! EPL Academy League Finalist looks forward to participation. Dallas Cup Executive Director Gordon Jago is pleased to announce that Tottenham Hotspur FC will be returning to Dallas to once again compete in the Super Group. Spurs were last in Dallas in 1999 when England international and current first team striker Peter Crouch was in the squad. Tournament dates are March 28-April 4, 2010. Spurs EPL Academy squad were EPL Academy finalists this past May thus an invitation to participate in Dallas Cup XXXI. Spurs Academy Manager John McDermottwill lead the delegation to Dallas and will be assisted by long time Dallas Cup friend Trevor Webb. “Part of our academy policy has been to attend Tournaments abroad and experience different footballing styles and cultures. Over the last three years the Youth Squad has been as far afield as Mexico and Qatar as well as travelling extensively throughout Europe. We are really looking forward to this new challenge in Dallas. The Dallas Cup has a world class reputation and the purpose of us attending is our belief that our players will improve from the experiences gained both on and off the pitch.” says McDermott. Attention Tottenham Hotspur fans living in the Dallas Metroplex: Should you have an interest in becoming a volunteer to be a liaison to the team during the tournament, please contact Randy Jones at (randy@dallascup.com). Please provide name, daytime phone and address. No phone calls please.